In the unfolding standards battle around wireless power technology, two players will today combine into one. Powermat, the company that last year allied with Procter & Gamble’s Duracell brand and which is the main technology behind the PowerMatters Alliance, will today announce that it has acquired PowerKiss, a Finnish company. 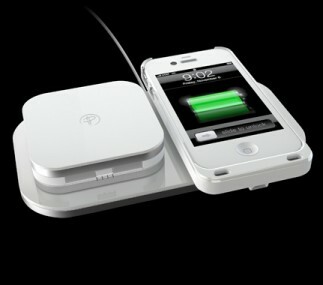 The move brings PowerKiss fully into the Powermat camp; it had previously been allied with Qi (pronounced chee), the wireless power standard embraced by Nokia and LG. I talked yesterday with Ran Poliakine, CEO of Powermat. He said the deal will go a long way toward expanding the Powermat footprint. The key, he says, is to get Powermat technology available in public places like coffee shops, restaurants and airports. The company has recently been doing a trial with Starbucks in the Boston area. PowerKiss has a relationship with McDonald’s restaurants in Europe; the point being that when you take a break for coffee or lunch, you can also set your phone down on your table and charge it. Before this, Powermat cut deals with Madison Square Garden and Brooklyn’s Barclay Center, as well as General Motors. It also got its technology built into fixtures at the Jay-Z owned 40/40 nightclub. In all, Powermat has about 1,500 locations in the U.S. enabled with its technology. PowerKiss brings with it 1,000 more in Europe. Poliakine compared the situation to the early days of Wi-Fi. While it’s common to have Wi-Fi available pretty much everywhere you happen to go in public these days — airports, coffee shops and so on — it wasn’t always so. “We think in a year’s time you’ll expect to have power available wherever you go. It will be an expectation, just like Wi-Fi is today,” he said. But it’s not as though the Qi camp is standing still. Just last week, it picked up PowerbyProxi as a new member of its Wireless Power Consortium. Financial terms of the deal aren’t being disclosed. PowerKiss had been backed primarily by angel investors and a Finnish government VC fund.